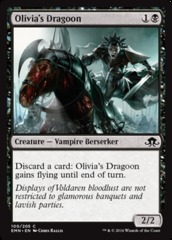 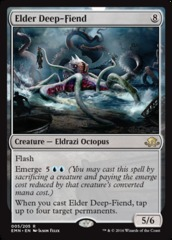 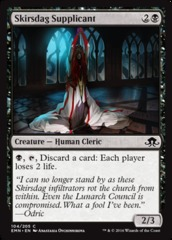 Card Text: As an additional cost to cast Eldritch Evolution, sacrifice a creature. 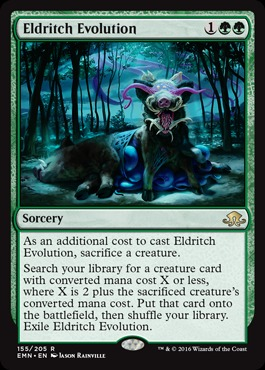 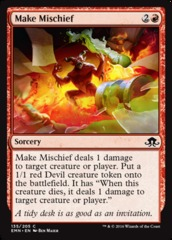 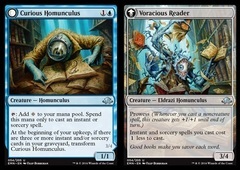 Search your library for a creature card with converted mana cost X or less, where X is 2 plus the sacrificed creature's converted mana cost. 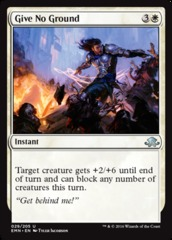 Put that card onto the battlefield, then shuffle your library. 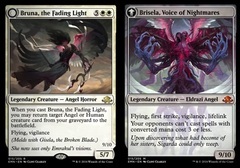 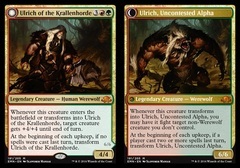 Exile Eldritch Evolution.